The best part of film school was your classmates, your team! Needed someone to record audio for your project, or someone to create graphics? Just look to your left and there they were. With Necessary Community gain access to your team! At Necessary Studios, there's an abundance of creatives trading services and creating great projects. Become a part of the Necessary community of actors, musicians, filmmakers, editors, graphic designers, web designers, audio engineers, makeup artist, just about everyone you need to create can be accessed in the Necessary Community. In addition to the creative team gain access to all of our studios. Run your record label or your production company out of a studio instead of a living room. 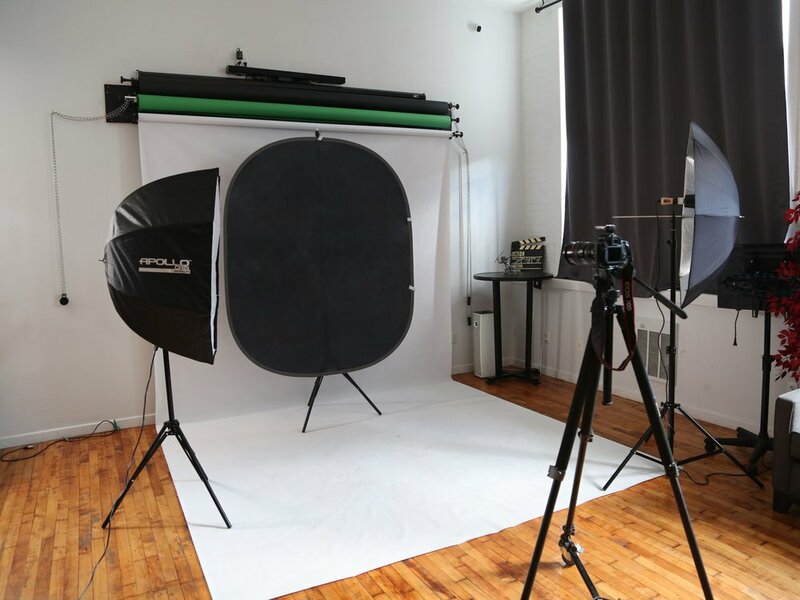 Shoot your videos, record your songs or podcast in a professional studio!